Today we would be going to Kamikochi, a scenic forest within the Chubu-Sangaku National Park in the valley of the Japanese Northen Alps, surrounded by the Hotaka mountain range comprising of Mt Nishihotaka (2909 m), Mt Aino-dake (2907 m), Mt Okuhotaka-dake (3190 m), Mt Maehotaka-dake(3090 m) and Mt Myojin-dake 2 peaks. The Azusa-gawa river flows along the valley, with several marshes and ponds formed from melted snow or underground aquifers. The pristine waters made feel like having a splash. 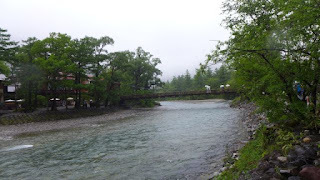 But I didn't see anyone swimming, perhaps because the water is cold, coming from the melted snow. 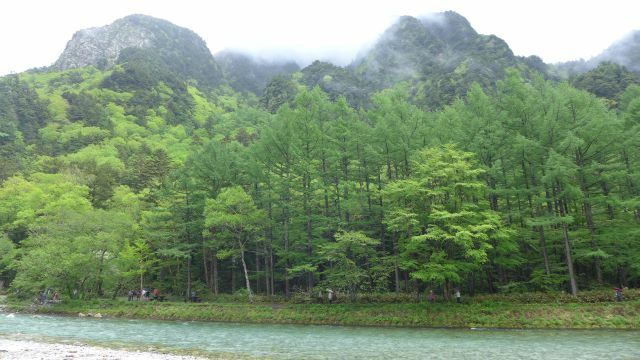 Kamikochi is located about 2 hours from Matsumoto by train and bus. 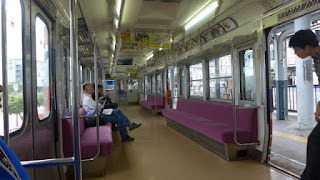 We took the train from Matsumoto to Shinshimashima departing at 8am, and arriving at 8.30am. The bus to Kamikochi was already waiting for us there. We arrived at Kamikochi at about 9.45am. 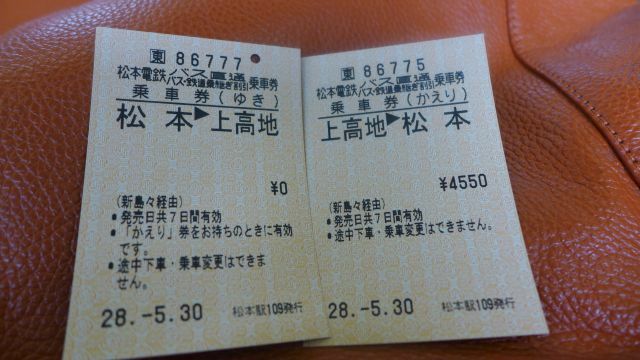 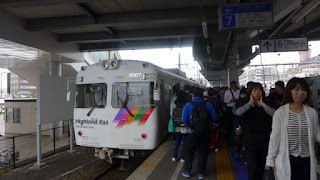 The integrated train and bus ticket cost JPY 4550 for a return trip. 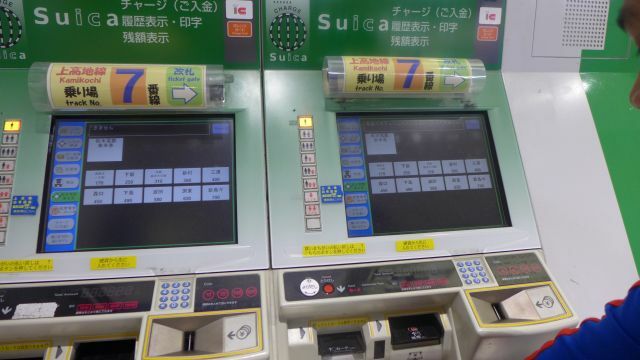 You can buy the ticket at the vending machine at Matsumoto station. 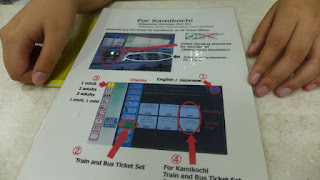 There are instructions in English. It was raining again today from the morning. 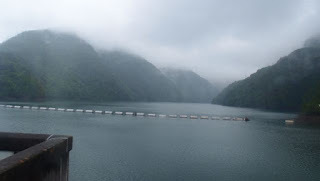 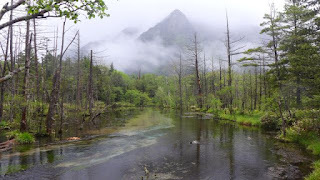 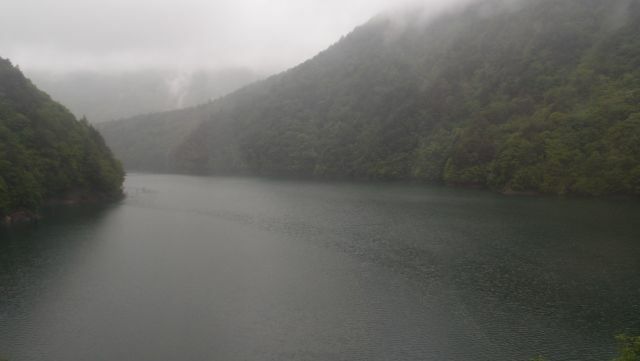 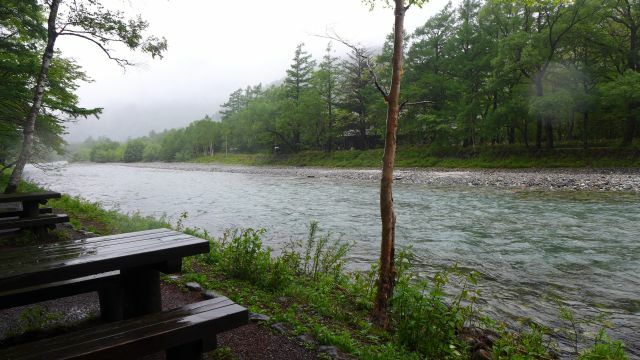 By the time we reached Kamikochi, it was still drizzling, so we had to wear our raincoats. 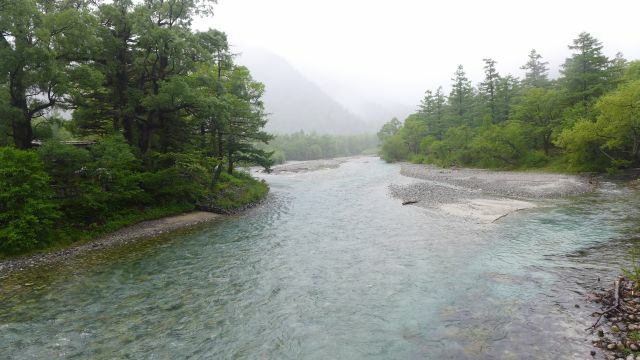 There is no entrance fee to Kamikochi. 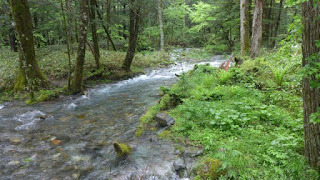 But a donation of JPY 100 of is necessary to use the toilet, and JPY 100 for the Kamikochi map. 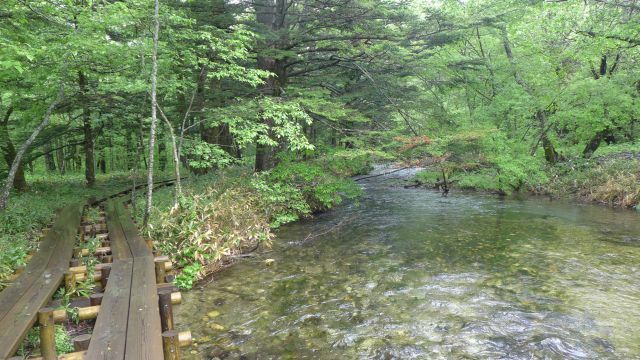 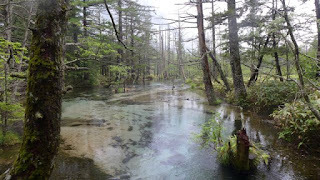 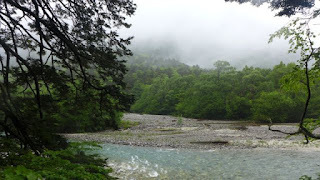 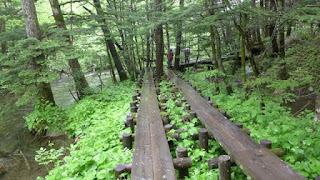 Kamikochi is a flat valley, so hiking would not be vertically challenging. 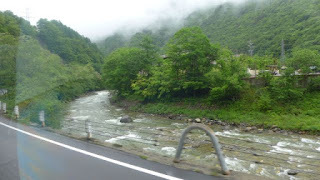 But there are climbing treks as well, to Mt Nishihotaka-dake (climb 6 hours, descent 4 hours) and Mt Yake-dake (climb 3.5 hours, descent 2.5 hours), among others. 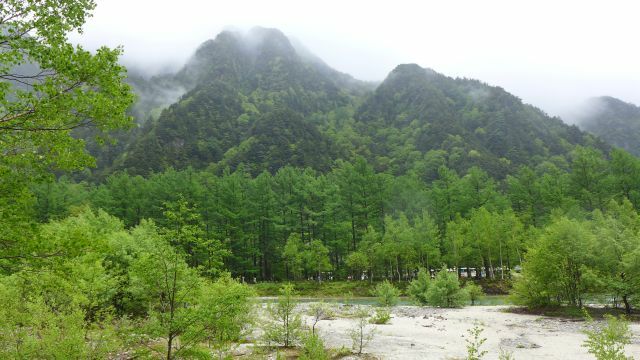 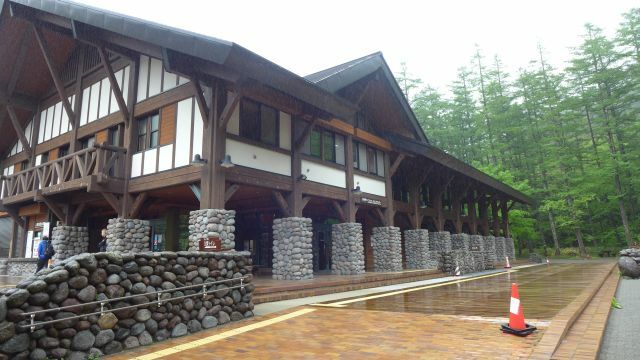 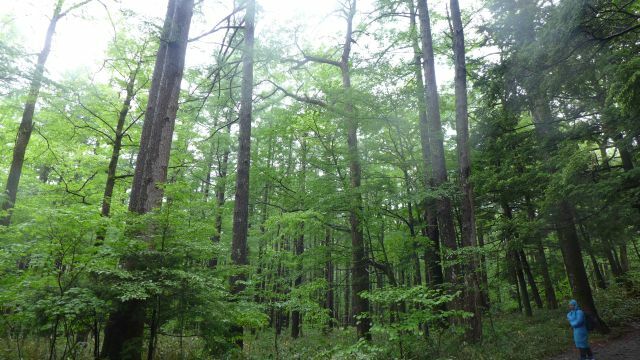 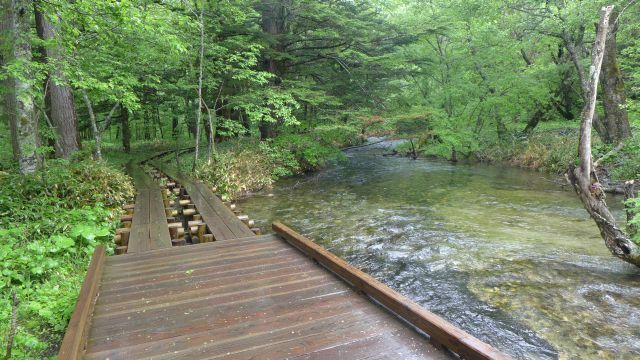 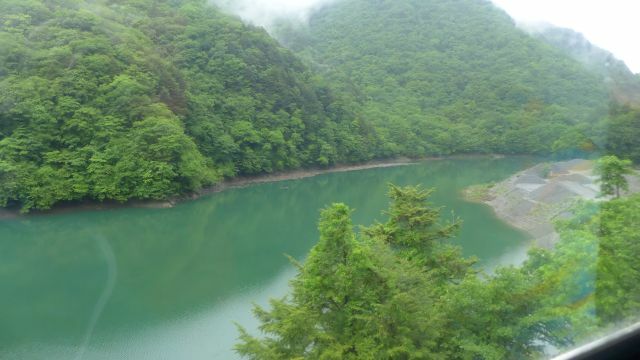 There are also hotels and lodgings at Kamikochi, so you can spend a night or two to fully enjoy the natural beauty of the forest and mountains. 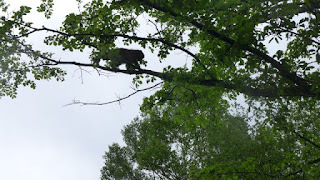 Partner In Crime wanted to see the ducks and monkeys. 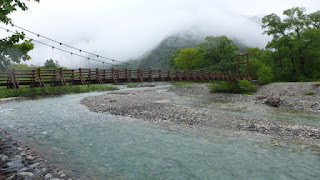 So we decided to hike to Myojin pond along the Azusa-gawa river left shore path, and return back to the bus terminal via the right shore path. It turned out that the right shore path was more interesting with the marsh. 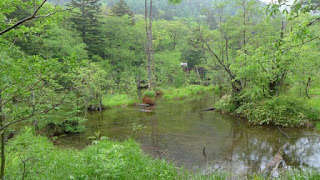 There were ducks at the Dakesawa marsh. We crossed the Azusa-gawa river via the Myojin-bashi bridge to go to the Myojin pond. 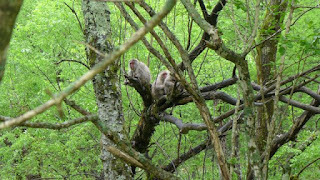 We didn't see any monkeys until we reached back at Kappa-bashi bridge. 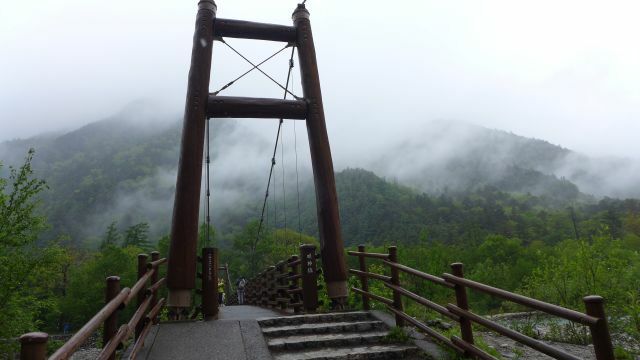 Near the Kappa-bashi bridge is a viewpoint where you can see the Hotaka mountain range as a backdrop to the Azusa-gawa river - on a clear day. 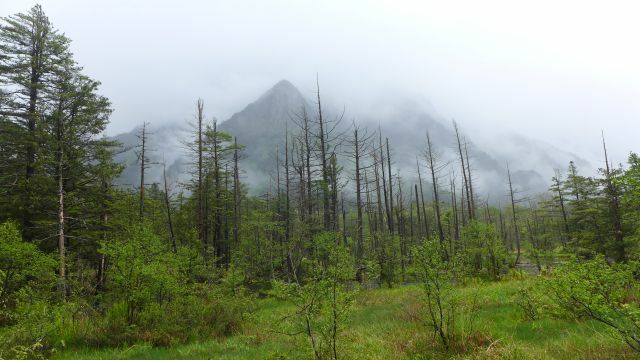 It was drizzling and cloudy on the day we were there, so the mountains were not visible. trees, mountains, river....what more would you ask for? 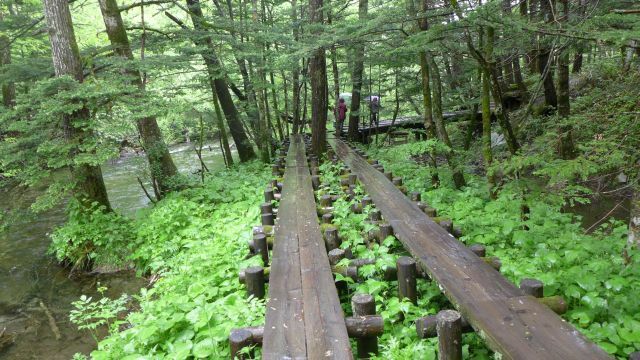 Not giving up yet, we then continued walking on the right shore path, passing by some hotels until we finally see the monkeys! 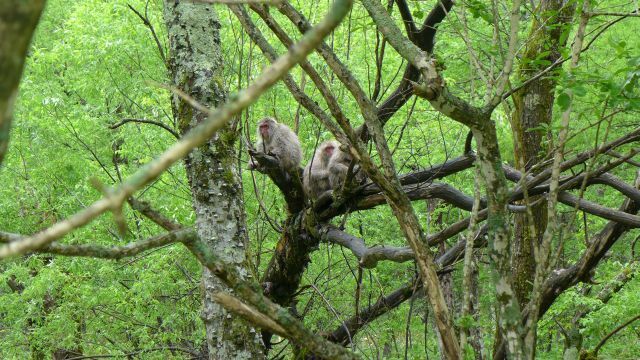 They were resting and grooming on the trees, dripping wet from the rain. Remember not to feed the wild animals though. 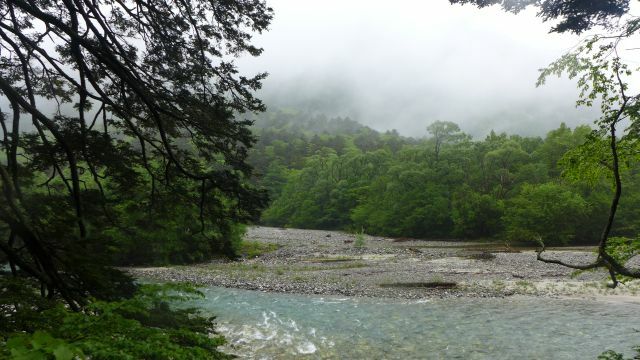 Kamikochi is also a black bear habitat. 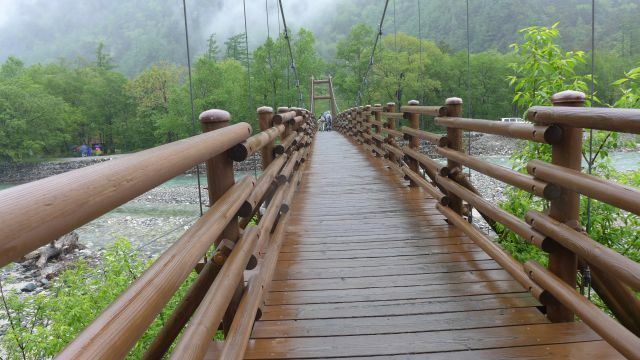 There is a reminder to take special care when walking in the morning, evening, night and during rainy days. 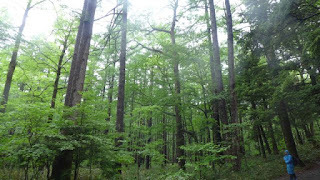 Visitors are reminded to walk with bear bells for giving bear notice. 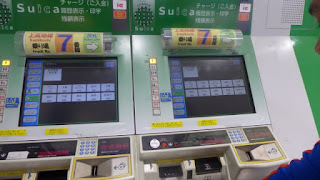 I suppose notice to the bear, so that it will avoid the area where the sound of the bell was coming from. We didn't see any bears though. We then crossed the Hotaka-bashi and Tashiro-bashi bridge and walked back to the Kamikochi visitor centre. 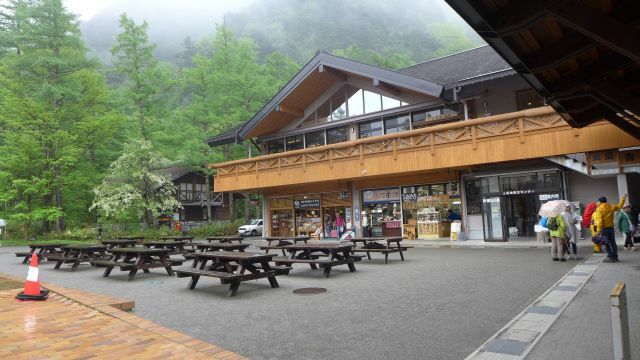 There are a few shops there that sell souvenirs. 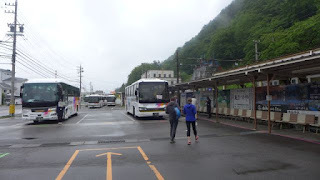 We took our bus back at 3.15pm and arrived back at Matsumoto at 5.15pm. 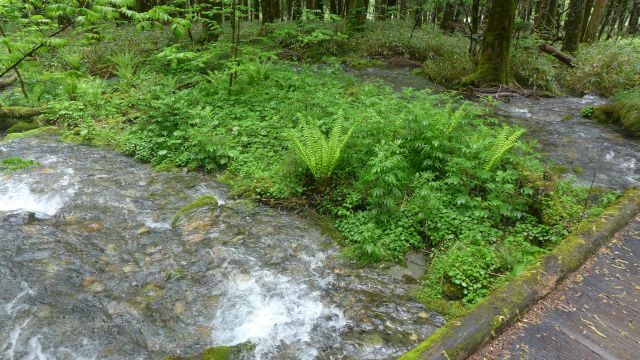 It was a spectacular walk in the woods with scenic views of the river, sans the mountains. 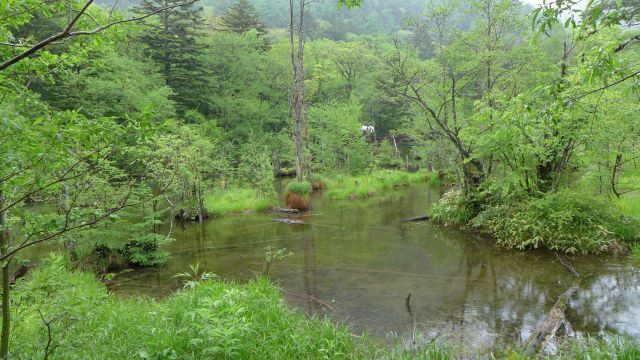 With the mountain views, it would be picture perfect! Perhaps we would be luckier tomorrow, traversing the Tateyama Kurobe alpine route.